Everytime a ghost bike placement comes up, I can never properly articulate the magnitude of the tragedy. There isn’t one that’s greater than another, but it’s the one in front of you that’s the toughest to face. 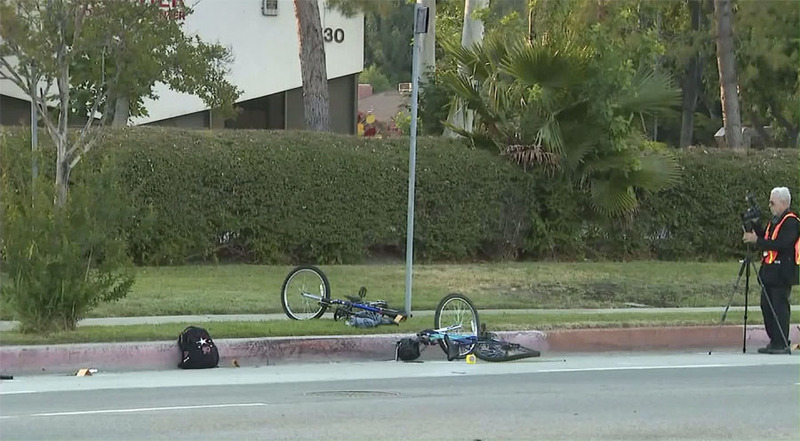 If you haven’t heard the news, two cyclists were hit and one was killed Wednesday morning at 1am. So far, at least one eyewitness account seems to believe that this act was intentional. Of course, we can’t ask the driver because this person fled the scene to inconvenienced to accept any responsibility. Why do drivers still feel this supremacy that their lives matter more? Wasn’t there plenty of space on this seven lane road for someone to just past and go about their business? Wouldn’t it be smart to slow down traffic at this point that’s a quarter mile between the Orange Line and L.A. River Bike Paths? Even if the cyclists were somehow taunting that driver, would that ever justify killing them? 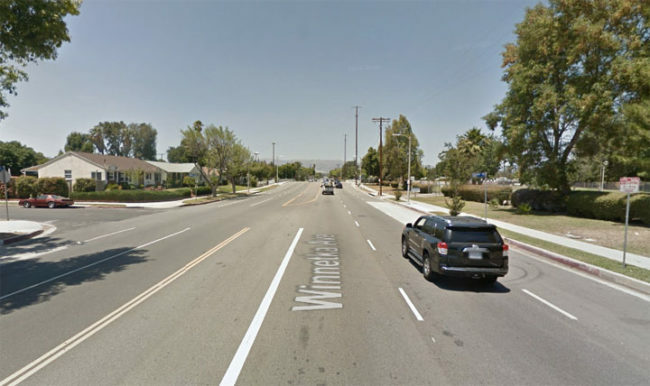 Why isn’t there a bike lane even though one ends on Winnetka a half mile away? Yes, the City Council did add back money last week to Vision Zero funding, but we have a ways to go to address this. Two million dollars per council district ain’t gonna do much. It’s definitely not going to bring back these lives. We need to stop treating these incidents like they’re just the cost of doing business. If you want to join me tonight, we’ll be placing a ghost bike at the site at 9pm.